With Ronda Rousey, Cris Cyborg, Holly Holm and Miesha Tate already some of the biggest stars in the world of MMA, 2016 could be the genesis of women’s stardom in the world of kickboxing. 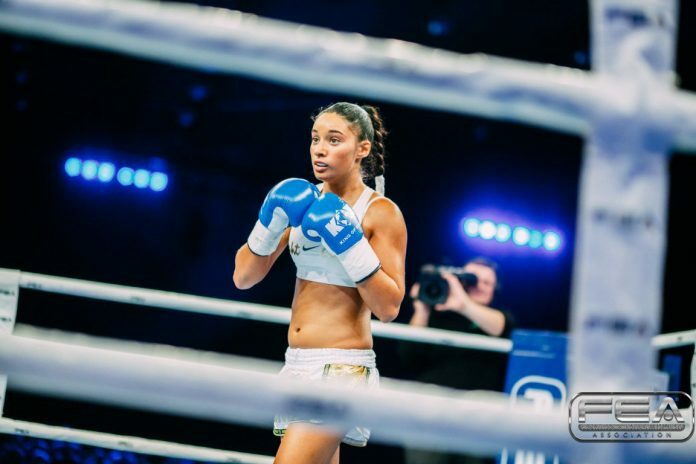 Earlier this year GLORY launched its first tournament to crown ha women’s super bantamweight champion, scouring the Globe for the top female kickboxers and Muay Thai fighters. 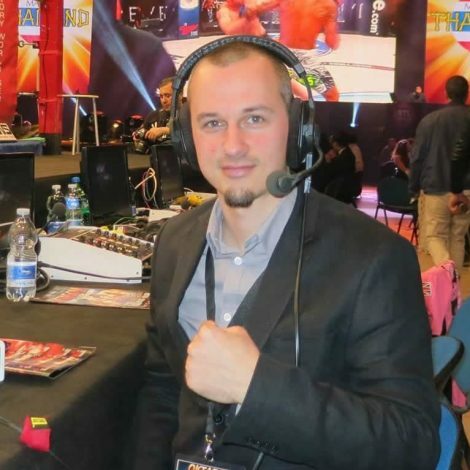 Among those found was Esma Hasshass a young 19 year old fighter who is training a Hemmers gym in Holland, one of the most respected kickboxing gyms in the world. I recently had the opportunity to speak with Esma Hasshass. Here is what she had to say. 1. What got you interested in kickboxing and how did you get started? I started training because my father wanted me to start with a fighting sport, so that I could defend myself and I started to like it so I did not stop with it and continued training. 2. You are training at Hemmers gym in Holland, which is known as one of the best in the world. How do you feel training there? Who are you mainly training with? Yes they are indeed one of the best gyms in the world, as I saw and feel now. I am training a lot now with guys like Marat Grigorian, Harut Grigorian, Jamal Ben Saddik, Samir Boukhidous, Filip Verlinden, Tommy Dieckmann and many more and of course a lot of pads with Nick Hemmers. 3. On October 1st you will be fighting at KOK in Moldova on FightBox HD. These are usually very big shows with 10,000 spectators or more. Does that make you nervous at all? Not every fight is the same for me. I fight for myself, so I just want to give a good fight and come out as the winner. 4. How do you feel before the fight with Nadejda Kantsir? How do you envision the fight going? I think it will be a good fight for the audience and I expect to come out as the winner. 5. Do you prefer to fight in your own country or abroad? Why? I like both but I prefer to fight in Holland, so that all my main fans are coming to watch me. 6. You fought one of the best female fighters in the world, Tiffany van Soest, at GLORY 30 in Amsterdam earlier this year. What is your opinion of the fight? She is indeed one of the best at this moment. I fought her in Los Angeles, I think it was a very good fight. I took the fight on 2 weeks’ notice, so with that in mind, I think it was a very good fight and I took a lot of experience from it. 7. Can we expect to see you in Glory again soon? 8. What goals do you have for your career? I want to be the best in the world and give the fans a very good fight every time. I have much more to show everybody. 9. Is there anything you would like to say to the fans who will be watching you on FightBox on Saturday? Watch closely because I am going to give you a good tough fight to watch! 10. Do you have a message for you fans? Keep following me and keep watching me, much pleasure watching me. I have much more to come. At such a young age and already with so much talent and a great team behind her, it seems the sky is the limit for Esma. King of Kings also seems to be interested in women’s fights, with at least one female bout per card. If these promotions continue to expand their female rosters and afford them the same opportunities that the men, I foresee the same trend to continue in kickboxing as has happened in MMA.